Hamas reportedly fired 5,000 rockets and 2,000 mortar shells at Israel during OPE.UN Department of Safety and Security (UNDSS), cited in Addendum to Report of the United Nations High Commissioner for Human Rights (A/HRC/28/80/Add.1, 26 December 2014), p. 8. Gaza Conflict 2014 reports that Hamas fired 4,000 rockets and mortar shells into Israel and an additional 500 projectiles that landed inside Gaza (paras. 103, 112). The discrepancy between the many thousands of Hamas weapons unleashed on Israel and the minimal death and destruction they inflicted is generally credited to Iron Dome, Israel’s wondrous anti-missile defense system. Thus Amnesty reports that “Israel’s Iron Dome missile defense system helped limit civilian casualties in many areas,” and was used “to protect civilian areas from projectiles launched from the Gaza Strip.” But this explanation scarcely convinces. Israel alleges that Iron Dome intercepted 740 rockets; the UN Department of Safety and Security (cited by Amnesty) puts the number at 240. Strangely, Amnesty omits the damning findings of one of the world’s leading authorities on anti-missile defense, Theodore Postol of MIT.Theodore Postol, “The Evidence That Shows Iron Dome Is Not Working,” Bulletin of the Atomic Scientists (19 July 2014; http://thebulletin.org/evidence-shows-iron-dome-not...7318); “Iron Dome or Iron Sieve?,” Democracy Now! (31 July 2014;http://www.democracynow.org/2014/7/31/iron_dome_or_...s_is). (Postol previously debunked the claims hyping the Patriot anti-missile defense system during the First Gulf War in 1991.Theodore A. Postol, “Lessons of the Gulf War Patriot Experience,” International Security (Winter 1991/92).) He concluded that Iron Dome successfully intercepted five percent of incoming Hamas rockets or, based on Israel’s raw data, an underwhelming 40 of them.Israel claimed that 90 percent (740) of incoming Hamas rockets in populated areas where Iron Dome was deployed were intercepted, which would put the total number of incoming rockets in these areas at 820. Yoav Zitun, “Iron Dome: IDF intercepted 90 percent of rockets,” Ynetnews.com(15 August 2014; http://www.ynetnews.com/articles/0,7340,L-4558517,0...html). In general, Iron Dome has served as a multipurpose prop in Israel’s various hasbara (propaganda) campaigns. After Operation Pillar of Defense (2012), Israel touted the success of its anti- missile defense system to compensate for the assault’s meager results.Finkelstein, Method and Madness, pp. 128-29. But Israel downplayed Iron Dome’s efficacy in its official postmortem on OPE, The 2014 Gaza Conflict, 7 July-26 August 2014, as it inflated the homefront’s vulnerability in order to justify the death and destruction Israel wrought during the operation. This report, which was issued in 2015 to preempt the critical findings of a UN Human Rights Council inquiry and is nothing if not repetitious, devotes just two of 460 paragraphs to Iron Dome, while the emphasis is placed not on Iron Dome’s brilliant performance but its being “fallible” and unable to prevent “extensive harm to civilian life and property.”2014 Gaza Conflict, paras. 189-90 (cf. paras. 4, 113, 190). Even on the official Israeli reckoning of 740 interceptions, it still remains a perplexity how the thousands of Hamas projectiles not intercepted by Iron Dome inflicted so little damage. Indeed, even before Israel first deployed Iron Dome during Operation Pillar of Defense, Hamas projectiles barely registered. Whereas Hamas fired 13,000 rockets and mortar shells at Israel between 2001 and 2012, a total of 23 Israeli civilians were killed, or one civilian killed for every 500 projectiles fired.Based on 2014 Gaza Conflict, which reports that Hamas fired 13,000 projectiles at Israel between 2001 and the outbreak of Pillar of Defense (paras. 44, 51, p. 58n174). B’Tselem (Israeli Information Center for Human Rights in the Occupied Territories), Attacks on Israeli Civilians by Palestinians(http://www.btselem.org/topic/israeli_civilians). In the course of Operation Cast Lead (2008-9), Israel’s most violent clash with Gaza prior to OPE and before Iron Dome, Hamas fired 900 projectiles2014 Gaza Conflict, p. 58n174. yet a total of only three civilians were killed. Moreover, during OPE, 2,800 Hamas projectiles, or 40 percent of the total number, landed in Israel’s border regionsIbid., para. 114, p. 122n361. This report states that “more than 60 percent” of Hamas projectiles landed in the border areas, but it puts the total number of Hamas projectiles fired during OPE at 4,000, whereas the UNDSS figure, used in this monograph, put the total at 7,000. (2014 Gaza Conflict, p. 58n174.) where Iron Dome was not deployed, yet only one Israeli civilian was killed by a rocket.The other five civilian deaths in Israel resulted from mortar shells (ibid., pp. 112-13nn328-32). (2014 Gaza Conflict, p. 58n174.) (Most Israelis in the border areas “remained in their home communities” during OPE.Ibid., para. 210. Postol ascribes the fewness of Israeli civilian casualties during OPE primarily (but not exclusively) to Israel’s early warning/shelter system,Some circumstantial evidence lends credence to Postol’s contention. Although Hamas rocket attacks killed only one civilian in two of the Israeli border regions lacking Iron Dome, mortar shells killed four others. The differential result is perhaps due to the fact that Israel’s warning system provides a lead time to those seeking shelter of 15 seconds in the case of a rocket but only 3-5 seconds in the case of a mortar attack. Postol also mentions the modest size of Hamas rocket warheads as a factor. which has been significantly upgraded in recent years.2014 Gaza Conflict, para. 183, p. 111n327; Itay Hod, “The Israeli App Red Alert Saves Lives,”Daily Beast (14 July 2014). But that still can’t fully account for the fewness of civilian casualties before civil defense improvements and, even more telling, it can’t explain the minimal property damage. During OPE, an Israeli Ministry of Foreign Affairs website chronicled on a daily basis the property damage inflicted by Hamas rockets.http://mfa.gov.il/MFA/ForeignPolicy/Terrorism/Pages....aspx. Table 2 summarizes its entries. Unlawful and Deadly reports that “scores of rocket and mortar hits in built-up areas damaged civilian property, including residential homes, infrastructure, public buildings, and educational institutions,” while 2014 Gaza Conflict alleges that “several residential communities on the border with the Gaza Strip…were battered by rocket and mortar fire.”2014 Gaza Conflict, p. 65 (caption). Yet, isn’t it also cause for wonder—and worthy of notice—that, even allowing that a certain percentage landed in open areas, the thousands upon thousands of Hamas rockets inflicted negligible damage? How could only one Israeli house have been destroyed and 11 others hit or damaged by a mega barrage of rockets?The same held true in the past. Only one Israeli home was “almost completely destroyed” during Cast Lead, and property damage was equally negligible before it. Norman G. Finkelstein,“This Time We Went Too Far”: Truth and consequences of the Gaza invasion, revised and expanded paperback edition (New York: 2011) p. 63; Human Rights Watch, Indiscriminate Fire: Palestinian rocket attacks on Israel and Israeli artillery shelling in the Gaza Strip (June 2007), pp. 24-28. The obvious, and most plausible, answer is, most of these so-called rockets must have amounted to little more than enhanced fireworks. Amnesty conjures nightmare scenarios out of Hamas’s long- distance rockets. But Hamas’s long-distance rockets during Pillar of Defense lacked explosives; an Israeli official dismissed them as “pipes, basically.”Dan Williams, “Some Gaza Rockets Stripped of Explosives to Fly Further,” Reuters (18 November 2012). It is unlikely that Hamas significantly enhanced its rocket technology in the space of just 20 months separating Pillar of Defense from OPE, and it probably could not have smuggled in a substantial number of more sophisticated rockets—eight months after Pillar of Defense, in July 2013, the coup in Egypt occurred, and one of the coup leader’s first acts was to seal nearly all the tunnels between northern Sinai and Gaza, which was the primary smuggling route. By adopting Israel’s story line of a lethal Hamas rocket arsenal, and even if the projectiles did induce some fear among the Israeli civilian population, Amnesty became, wittingly or not, a purveyor of state propaganda. Although Amnesty does not provide a basis for this data, it almost certainly derives from official Israeli sources. It is difficult to say how much value one should attach to these sources. 2014 Gaza Conflict alleges that, on the eve of Operation Pillar of Defense (2012), Hamas “had stockpiled over 7,000 rockets and mortars,” while on the eve of OPE it “had acquired 10,000 rockets and mortars” (paras. 51, 54). It also supplies a precise breakdown of these rockets (“6,700 rockets with a range of up to 20km, 2,300 rockets with a range of up to 40km…”). It is anyone’s guess how Israel came by this information and why, possessing it, Israel didn’t militarily preempt Hamas’s use of these projectiles—if it knew how many projectiles Hamas had amassed, it must surely also have known where they were being stockpiled. The Israeli report also states that Hamas “invested heavily in rearmament following the Gaza Operation 2008-2009 and the Gaza 2012 engagements, which shrunk [its] weapons stockpiles substantially” (p. 61n186). But if it had accumulated 7,000 projectiles just before Pillar of Defense, and fired 1,500 of them during Pillar of Defense (para. 51), its arsenal would have been depleted by only 20 percent. The reasonable inference is that Israel plucks most of these numbers from thin air. UN Department of Safety and Security (UNDSS), cited in Addendum to Report of the United Nations High Commissioner for Human Rights (A/HRC/28/80/Add.1, 26 December 2014), p. 8. Gaza Conflict 2014 reports that Hamas fired 4,000 rockets and mortar shells into Israel and an additional 500 projectiles that landed inside Gaza (paras. 103, 112). Theodore Postol, “The Evidence That Shows Iron Dome Is Not Working,” Bulletin of the Atomic Scientists (19 July 2014; http://thebulletin.org/evidence-shows-iron-dome-not-working7318); “Iron Dome or Iron Sieve?,” Democracy Now! 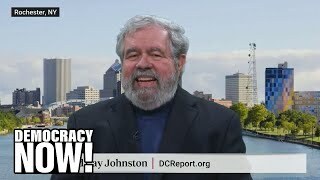 (31 July 2014;http://www.democracynow.org/2014/7/31/iron_dome_or_iron_sieve_evidence,http://www.democracynow.org/blog/2014/7/31/part_two_theodore_postol_asks_is). Theodore A. Postol, “Lessons of the Gulf War Patriot Experience,” International Security (Winter 1991/92). Israel claimed that 90 percent (740) of incoming Hamas rockets in populated areas where Iron Dome was deployed were intercepted, which would put the total number of incoming rockets in these areas at 820. Yoav Zitun, “Iron Dome: IDF intercepted 90 percent of rockets,” Ynetnews.com(15 August 2014; http://www.ynetnews.com/articles/0,7340,L-4558517,00.html). Finkelstein, Method and Madness, pp. 128-29. 2014 Gaza Conflict, paras. 189-90 (cf. paras. 4, 113, 190). Based on 2014 Gaza Conflict, which reports that Hamas fired 13,000 projectiles at Israel between 2001 and the outbreak of Pillar of Defense (paras. 44, 51, p. 58n174). B’Tselem (Israeli Information Center for Human Rights in the Occupied Territories), Attacks on Israeli Civilians by Palestinians(http://www.btselem.org/topic/israeli_civilians). 2014 Gaza Conflict, p. 58n174. Ibid., para. 114, p. 122n361. This report states that “more than 60 percent” of Hamas projectiles landed in the border areas, but it puts the total number of Hamas projectiles fired during OPE at 4,000, whereas the UNDSS figure, used in this monograph, put the total at 7,000. The other five civilian deaths in Israel resulted from mortar shells (ibid., pp. 112-13nn328-32). Some circumstantial evidence lends credence to Postol’s contention. Although Hamas rocket attacks killed only one civilian in two of the Israeli border regions lacking Iron Dome, mortar shells killed four others. The differential result is perhaps due to the fact that Israel’s warning system provides a lead time to those seeking shelter of 15 seconds in the case of a rocket but only 3-5 seconds in the case of a mortar attack. Postol also mentions the modest size of Hamas rocket warheads as a factor. 2014 Gaza Conflict, para. 183, p. 111n327; Itay Hod, “The Israeli App Red Alert Saves Lives,”Daily Beast (14 July 2014). 2014 Gaza Conflict, p. 65 (caption). The same held true in the past. Only one Israeli home was “almost completely destroyed” during Cast Lead, and property damage was equally negligible before it. Norman G. Finkelstein,“This Time We Went Too Far”: Truth and consequences of the Gaza invasion, revised and expanded paperback edition (New York: 2011) p. 63; Human Rights Watch, Indiscriminate Fire: Palestinian rocket attacks on Israel and Israeli artillery shelling in the Gaza Strip (June 2007), pp. 24-28. 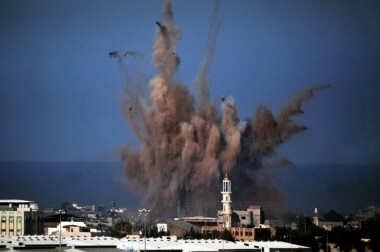 Dan Williams, “Some Gaza Rockets Stripped of Explosives to Fly Further,” Reuters (18 November 2012). 15 Comments to "Has Amnesty International Lost Its Way? Part 2"
ISRAEL’S FAKE ATTACKS ON ITS OWN PEOPLE PART OF THE JEWISH PROPAGANDA SCAM. Thanks for the interesting article, Sir. The Jewish controlled pro-Israel US/EU media are the master of lies. However, if you analyze any of their news carefully, you can see through their lies. For example, like you said, most of these Palestinian “rockets” never do any harm. As I read such news, I often wondered, why. And then I wondered, why does not the media tell us about the type of “rockets” the Palestinians are using—manufacturer, range, country of origin, power, price, how they got them into Palestine, etc? How could big rockets get into Palestine despite Palestine being Israeli controlled territory? Why don’t they show photos of these rockets? The reason must be that these “rockets” aren’t really rockets, but maybe just fireworks. Similarly, there are many “attacks” on Judaists, such as bombs discovered on buses, etc. but, miraculously, almost no Judaist ever dies. There is only one logical explanation—these are all sham attacks, orchestrated by the Judaists themselves. FOR JUDAISTS AND THE JEWISH CONTROLLED MEDIA, LYING AND SCAMMING IS JOB 1.
. A war, any war, holds out a chance that both sides have a possibility of victory……The Palestinians had only ONE possibility and that was to be exterminated…it was just a question of how many and how soon.! Israel brought two fully mechanized, armor divisions …against what. ?…..500 bicycles and a pair of rusty motor scooters.?…. Israel has the finest, most advanced air force in the entire middle east, …… against what. ?….Three Palestinian Balloons and four paper airplanes ? I mean come on ! 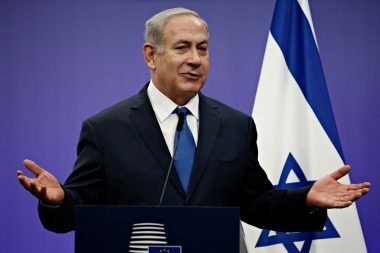 Its like going to a Mixed Martial Arts fight….and seeing 265 lb Brock Lesner step into the ring against an emaciated 38 lb six year old…….Nobody even thinks it is a contest…because it isn’t !…Just like everyone knows Israel did not fight a war ……because it wasn’t ! Just as everyone would be disgusted to watch Brock Lesner pounding into pulp a six year old, …so too was everyone disgusted in watching Israel slaughter the starving Palestinians..
Leaving the Great Brock Lesner….Like Israel …….standing all alone . PS. No offense to Brock Lesner, I know he would actually never do that ,in a million years ! If you go to Israel you won’t have any trouble finding pretty substantial collections of missiles (presumably one that failed to explode) that certainly fit the picture of small/medium size rockets being fired into Israel and they are no fireworks. They would destroy a small car just by hitting it. But your story suffers most from want of credible motive. Why do they want a “pretext to bomb Palestine”? What strategy is served? A picture’s worth a thousand words, so in relation to the claim that it’s Israel’s civil-defense initiatives which protected its citizens from the Hamas bottle rockets, simply look at actual Israelis munching popcorn while enjoying the carnage in Gaza. Image search for “israelis popcorn watching”. I once saw a picture of Palestinian rocket damage – a dink on a road – juxtaposed with Israeli – a crater 15′ across. Of course, you have to give the Israelis that you wouldn’t want even inert pipes raining down on your population. Oh and, Mr. Unz – good on you for having Norm Finkelstein as a contributor! So, the Palestinians are so damned stupid that they’re shooting bottle rockets at someone who will return fire in earnest? If you were trying to draw sympathy here, you’ve widely missed the mark. How about combatants hiding behind civilians so that the enemy will target them? Does that qualify as a war crime as well? You’re just retailing the same tired old propaganda line. Just lie lie lie, that’s all you trolls ever do. It’s admitted that rockets are being launched into Israel and falling within Israeli territory. However, Israeli retaliation is said to be unjustified or disproportionate because, whether Iron Dome is effective or not, the Palestinian attacks have been ineffectual. That may be the dumbest and most morally bankrupt argument I’ve seen at Unz.com. Would you shrug it off if your neighbor was doing daily drive-by shootings at your home, but he’s a poor marksman so he never actually hit your daughter? Or wouldn’t you escalate retaliation until the guy stops shooting? So, has the shooting stopped from Gaza? No? Well, then! That might explain why the escalating retaliation continues. I’m going to assume you meant “reiterating.” It’s also clear that you have no valid rebuttal to offer. And if I’m the troll, why are you the anonymous one? Manipulating your enemy into killing civilians and then trying to claim the moral high ground is a despicable act, no matter who is performing it. I once saw a picture of Palestinian rocket damage – a dink on a road – juxtaposed with Israeli – a crater 15′ across. The Hamas-manufactured M-302 rocket carries an explosive payload of at least 150kg, which is 300 times the 0.5kg payload of Qassam-1 impact you probably saw. It is also almost three times the 57kg payload of the AGM-65s used in Israeli airstrikes. The crater you saw was from the secondary explosions of an ordinance stockpile. Instead of making speculations that don’t really make sense, Finkelstein should just go and stand in an open area during the next conflict. I was working on an archeological excavation on a tel overlooking the coastal plain during the last conflict and saw several impacts that could have only been caused by Hamas’ largest rockets. And if I’m the troll, why are you the anonymous one? Is “Ozmandias” your actual name or is it a handle? If it’s the latter then you’re also anonymous; give your full real name then, “Ozmandias”. Palestinian rockets occasionally kill Israeli civilians. Does this mean that Israeli soldiers are ‘hiding’ behind them? If an Israeli child is killed does that mean they were “manipulated” into getting killed by the Israeli government so they could “claim the moral high ground”? Rather unlikely yet you’re making those assertions about the Palestinians who supposedly use their own children as sacrificial pawns since they’re a lesser people than the noble Israelis. We get it, the real message behind what you’re saying is that the Palestinians are subhumans who do that sort of thing even to their own children and thus deserve anything bad that happens to them, including being killed or even wiped out. Children killed in their homes, in their beds, were “manipulated” by their own parents. A shameful propaganda lie on a par with all these Hitler groupies who claim he was just misunderstood and really meant well. Palestinians used U.N. facilities to store their rockets. Palestinians used U.N. facilities as launch platforms. Palestinians used U.N. facilities as bomb shelters. The results here are pretty easy to predict, but you fell for it due to your rabid antisemitism. And the point with the name was that I took the time to register because I post here all the time. You didn’t register because you’re only trolling. Or perhaps you’re just one of those challenged individuals who throws out the “troll” defense whenever anyone disagrees with you – because it’s all you’ve got. It’s an impotent strategy, but it was still better than your “Hitler groupie” nonsense. So it’s the UN who is in partnership with the Palestinians in order to attack Israel? Allowing them to use bomb shelters so they don’t die in yet another Israeli air attack is bad? due to your rabid antisemitism. Equating being critical of the actions of Israeli hardliners with antisemitism is an old gimmick by now and no longer works around here. It’s all old hat by now, things to say to squelch discussion. Basically, it’s hard to justify 500 dead children; doesn’t keep people from trying though.